Cablenet provides a complete range of copper cabling solutions including cat5e, cat6 and cat6a products. We have a proven track record of network cabling instalation across a wide range of industries including Education, Data centres, Offices/Commercial , Hotel and Leisure, Medical and Scientific and Retail. The Cablenet Category 6 system supports STP, UTP and FTP installations and is fast, reliable and easy to install. Our Category 6 system is fully backward compatible. 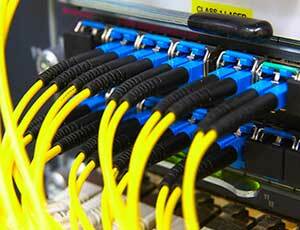 We offer a complete line of cat 6 copper cabling components as part of its cat 6 system. This includes easy-to-assemble high yield cat 6 jacks and punch down and modular panels, copper cable, faceplates and patch cables.